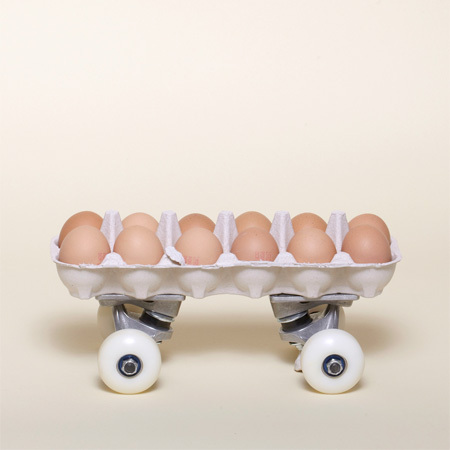 Unusual and creative skateboards designed by French artist Arthur King. 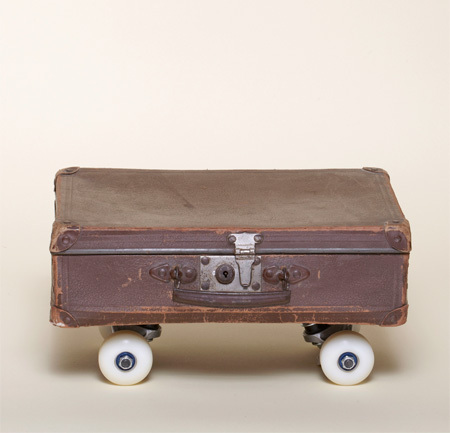 Skateboard wheels were attached to computer keyboards, food trays, musical instruments, suitcases, books, and other objects. The nailbed, grass, and sandwich boards are the best. Unsure if this is really innovative. Skateboard still should help someone to skate using it. These, especially the ones with nails, stack of cards, etc…doesn’t serve the purpose anymore. While making it look different but at the same time serving the purpose will be the real innovation!! +1 to Thanya, I’m sure people could make some innovative cars out of mud if they just stuck some old rims on it. 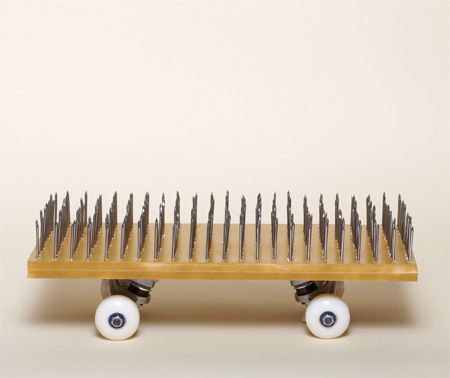 Should ideally be usable still to be called skateboards still, otherwise- cool art. @Thanya The post says he is an artist so CLEARLY these are not functional but simply art. The invisible skateboard makes that point even more clear. Sure somebody could make some of these skateboards functional but we’re not here to discuss that… let’s talk about the art on display. I think it’s very cool. I havn’t really seen this kind of thing before. 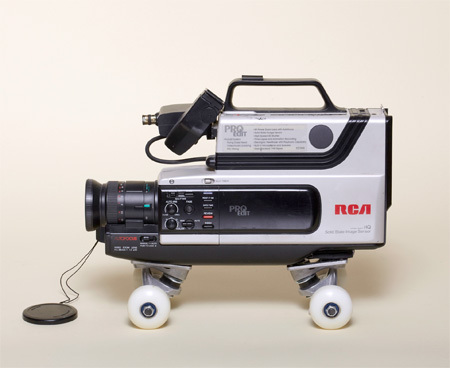 i would like to combine the camera one and the invisible one…. very helpful for spying.. If only I could get paid as much to stick wheels on things. This kind of art makes me sad. 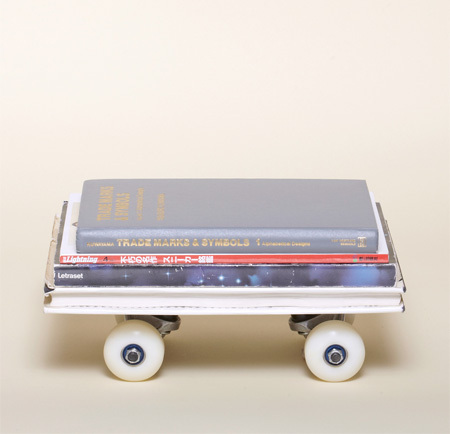 This is just stuff with skateboard wheels – these are not skateboards. @George – I don’t agree with you on this matter. 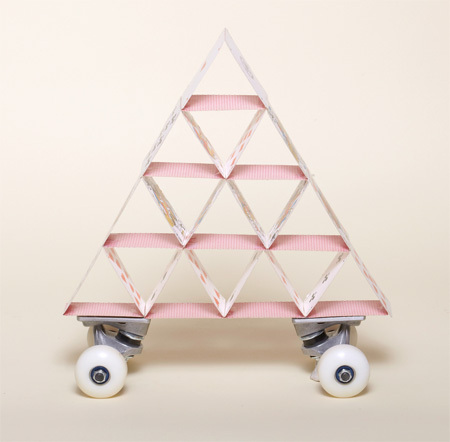 As skateboard wheels don’t have any extra meaning to them this is just a bad project and I wouldn’t call it art. It’s not deep, it’s not cutting edge, it’s just stupid. 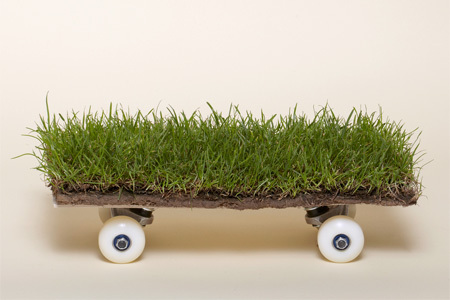 For example if all the items would be like the Grass Skateboard I could search for an extra meaning – get off your wheels, get in touch with the earth. 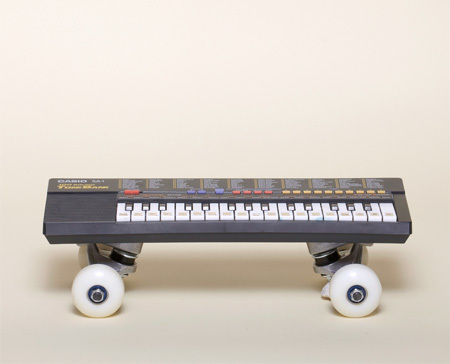 But as this project includes items like Keyboard Skateboard and Sponge Skateboard I believe it is just stupid. +1 pTc. Not seeing the innovation here. There’s nothing thought-provoking about any of these combinations. It’s just putting skateboard wheels on random things. Cute idea. Not sure it’s an exciting sort of thing artistically but I bet some people would pay to see it. @ pTc – you could get paid to stick wheels on things – but then no one would pay you for it, cause someone has already done it – why don’t you think of something creative to stick onto everything else and then sell it. Then you would realize just how difficult it is to do this kind of stuff, no matter how much you hate it. I’m not a big fan of it myself, but stop complaining and do your own art if this stuff makes you sad. “Invisible Skateboard” = BRILLIANT! He must have put a lot of thought into that! LITERALLY all they’ve done, is attach a pair of wheels to objects. That’s it. I agree with the above commenters–this is pretty dumb. I can take a bunch of random stuff and put wheels on it, too; this really isn’t imaginative at all. I hope it’s a joke. I hope this isnt joke. I like it so much. Yes its only some random stuff with wheels and everybody can do that, but why they didnt did it when its so easy? Its all about that, you can do this, but you didnt. He did, and that why its creative, because no one have done this before. 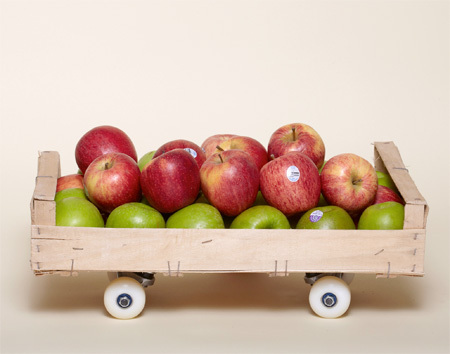 But when you will put random stuff on wheels now, it wont be so creative, because he did it before. This is such bad art… The reason why this has never been done before is because it’s not a very creative concept. Sure he’s unique for sticking wheels on things, but I could be unique by putting clothespins on everything I see, place it in front of a nice white backdrop and call it art. 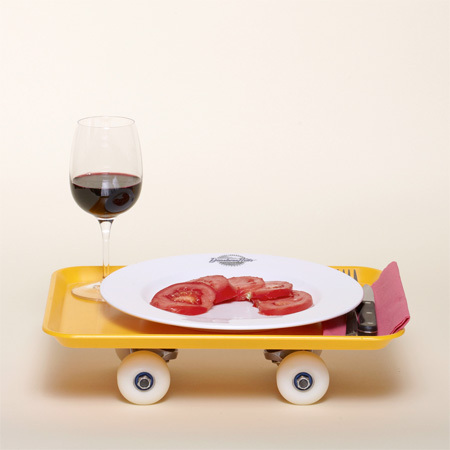 It would have been better if it was gimmicky where the skateboards has some sort of semi functionality, like the sandwich one made me think, hey, what if someone rolled down my street on a sandwich. That would be interesting. then the thrill puffed-out when I saw the rest. 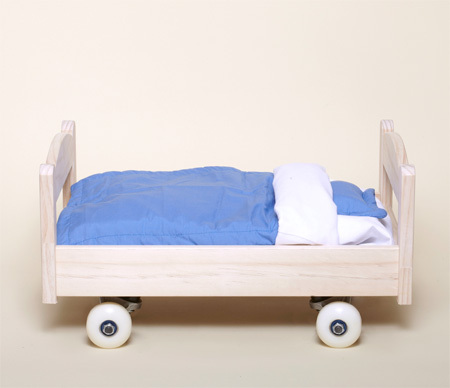 It became a sad art when you put wheels under almost everything you see (and don’t see for the invisible skateboard) around you. I might put some wheels on a metal loosly woven basket, and photograph it in front of a large shop selling things. Then I might put some wheels on a large metal box, with 4 seats and an engine, photograph that on a large exspanse of tarmac. And to top it off, I might then Stick 4 wheels on each shoe, and photograph myself breaking a limb. ill glue his invisible skateboard in the ceiling and say that my art turned the world upside down. genius! To me they all just look like various angry-eyed creatures staring. I’m with cole. If you’re bummed on this then get out there and do something. Two things that this guy has that most if not all of you here do not have and that’s our attention and the motivation to do something(arguably)creative. If only for a few seconds everyone that has commented here has taken time to notice and discuss this project. Not to mention the people that just checked it out moved on. I think it’s a pretty fun little project. Maybe not groundbreaking, maybe not the most creative, but definitely fun. People that ‘might’ do things probably just sit around on the computer criticizing everything around them. 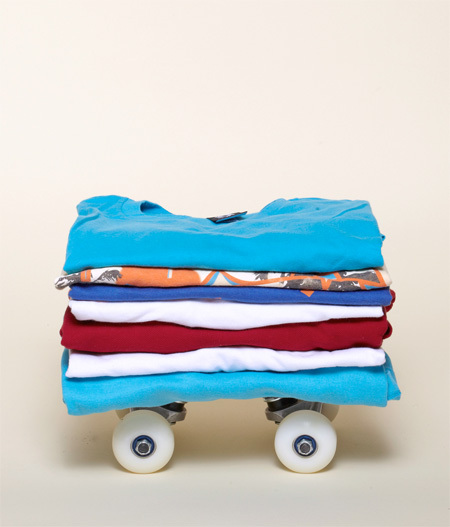 pTc, the shopping cart, automobile, and roller skates have all been made already and blooper reels have that breaking-a-limb things covered. Try something different like this Arthur King fellow and you might get some people talking. Also, please retort that you wouldn’t have to be that creative or skillful to top this. You do, however, need the motivation. 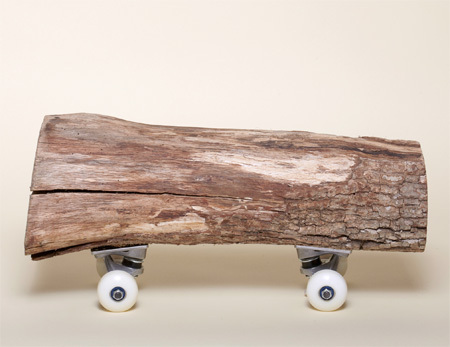 How much creativity these show is up for debate, but one thing is for sure: these aren’t skateboards. Even the ones that could have been skate-able don’t have bolts attaching the trucks to the object. The block of wood one would have been pretty cool with trucks properly attached. It says “attached” in the description but I think “resting on” would be more accurate. I’ve been putting skateboard wheels on things since I was 6 and started skating. 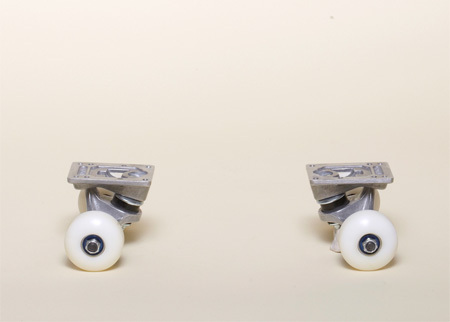 I would take the trucks off my board and put them on other things and try to skate them. I did the block of wood, books, computer keyboard, an old tire, folded up cardboard boxes, a VHS tape (I’m pretty sure it was The Lion King), I even did a food tray i stole from school. If this is art, then I must be a prodigy.